Are you planning on getting your first tattoo, but unsure where to place it? Deciding where to place your tattoo is as difficult as choosing a tattoo design and looking for a good tattoo artist to ink it. When choosing the location for your new tattoo, there are a number of things that need to be considered. Could the tattoo placement affect your career prospects? Will it improve or mess up an already good feature of your body? What size is best for a first timer? Should it be colored or just black and grey? Clearly, you have a lot to think about. Remember, a tattoo will draw attention to itself whenever it is seen. If you have a foot condition (warts, fungus nails) that makes it unattractive, putting a tattoo on them will draw attention to your feet and that may not be a good idea. Also, if you have nice firm abs, placing a tattoo there will require you keep it nice and firm because if ever you develop a beer belly and your stomach starts to sag, you tattoo will sag with it, which is not a pretty sight. 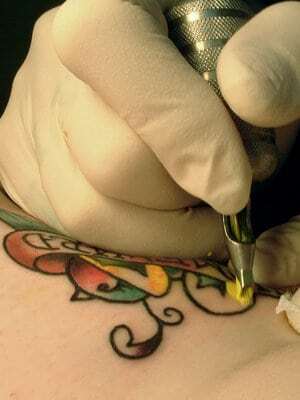 For first timers, it is best to place your tattoo on your chest or shoulder areas. These are prime areas because they are well hidden, probability of a tattoo being deformed is very minimal, makes it easy for the tattoo artist to do his/her work and most of all, makes it easy for you to take care of your tattoo. Also, first timers should consider getting a small tattoo, it doesn’t matter if its coloured or black, though some coloured ink are painful. The reason for this is you have to learn how to take care of a tattoo, get the feel or experience of tattoo aftercare before getting a larger one.